What food do you think is delicious, but is a pain in the neck to eat? 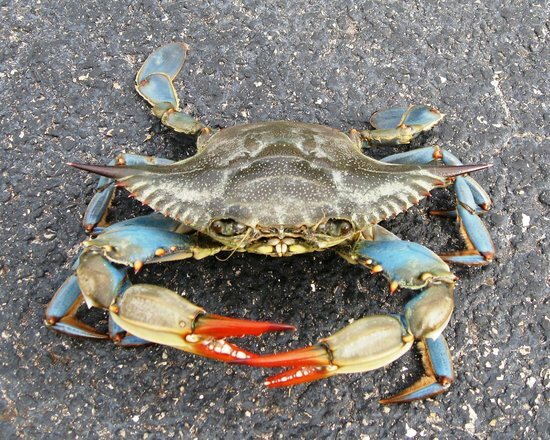 Blue claws. I love them but it takes forever. You can use a rolling pin to roll out all the meat from the legs and claws. I've never seen that method, Wesley. It's certainly worth a try! I really struggle with them and miss about half of the meat. =(. Try getting deli meat that's sliced from an actual breast of a Turkey. Too much processed meat doesn't seem very good for you. Sloppy Joes about once a year! I put so much in the bun it just squirts all out. I feel like I'm covered from ear to ear with sauce. Sloppy Joe's advertisements screwing generations to come. Next time use a hot dog bun. You're welcome. Bar BQ ribs. I get as much on my hands as I get in my mouth. I wish we had a good rib joint nearby. YUMMM! Hi, Skip!! Good to see you. Mangoes, pomegranate, sunflower seeds, ice cream on a sweltering day, whole artichokes. What To Do For A Pulled Muscle In The Neck? What Is The Word For 'Delicious' In French? I have a 4 week old puppy that is foaming at the mouth, weak, stomach spasms, crying like he is in pain. I do know that the puppy has been eating his mothers dog food instead of puppy food? Should lousy wait service be rewarded with a generous tip? Or any tip? Do you tip, no matter how bad wait service is? If you tip lousy service is it fair to the server? I went to the Olive Garden and my food was delicious and my waiter Ricky was super super great. I loved my lunch. It's my favorite place to eat. I'll be returning and I'll ask for him. Love the Olive Garden. Service is fantastic. If I want to cook delicious foods, what should I do? Can you recommend me? What is the one food you refuse to eat?